Groggy, I’ve just awoken from a two-hour nap. I wake to the sound of waves hitting the side of the boat, muffled by the revving of the engine and buzz of the generator. I feel the gentle swaying of the boat which had rocked me to sleep hours earlier. 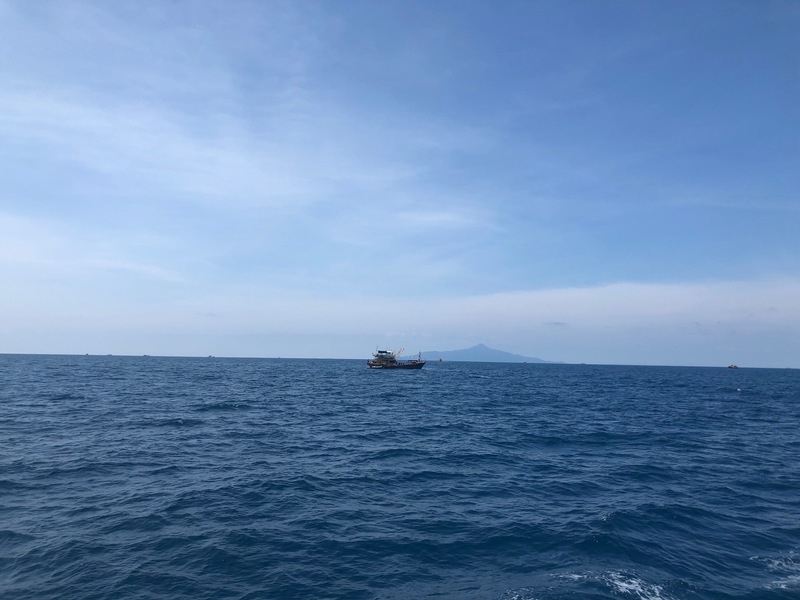 As I begin to orient myself, I remember we’re on a charter boat on our way to Paulau Dayang, a small island four-hours off the East coast of Malaysia. In the boat there are seven rows of seats, divided into two sections of three to four navy blue seats each — all of them beat up with ripped seams and stains from whatever came before us. I was comfortable. This “comfort” stemmed from a deep nostalgia, all coming back to my love of the ocean and my memories of living out at sea as a fishery observer. I remember how the feeling of laying on the ground with one sleeping pad could be comfortable, if you had the ocean rocking you (gently) back and forth – what I now felt. The smell of the engine and generator, not great, but familiar. When I looked out the window there was no land in sight, just a few outlines in the distance – one of my fondest sensations – a reminder we’re just a tiny ant in this immeasurably large world. 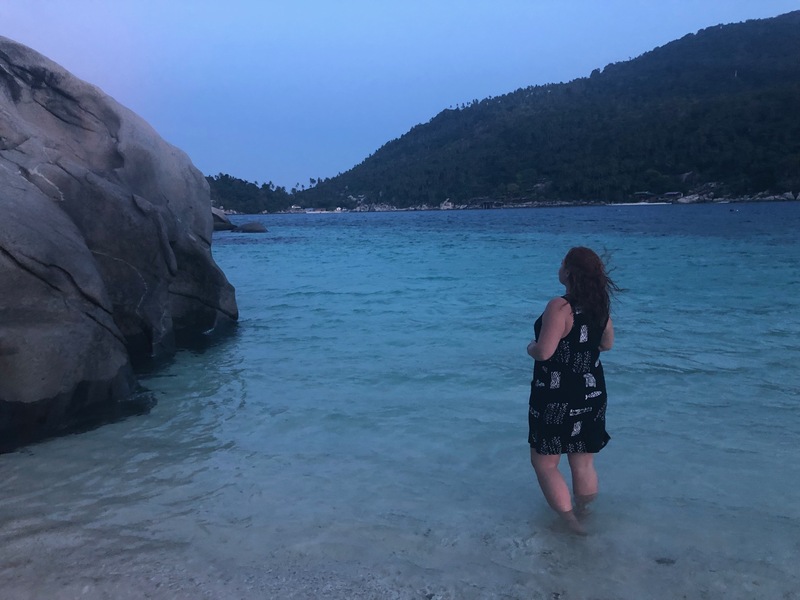 I’m grateful for the four-hour boat ride – a welcomed relief from our yet uneventful drive through Malaysia where the predictably bumpy road unwaveringly roused me from sleep. 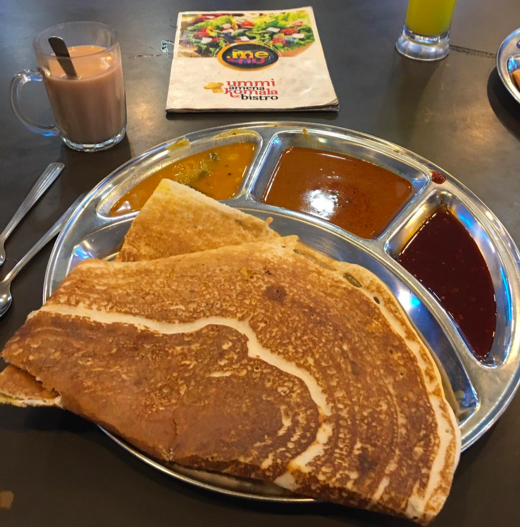 Sleeplessness and a language barrier provided for an eventful breakfast, where pictures of unfamiliar items were our only currency. Someone thought they ordered a full meal and were surprised when they just ended up with toast. We arrived at the island around noon and hobbled off our larger vessel onto a small, colorful boat. No sooner had we dropped our stuff were we in the water snorkeling — the shallows off our hotel teeming with life. Twenty feet from shore, within no more than two feet of water, we were surrounded by elk horn, boulder, and table coral, as well as a number of other species of coral that were less familiar to me. Then there were your common reef fish — damselfish, wrasses, parrot fish, cuttlefish, an eel, and someone even saw a turtle! 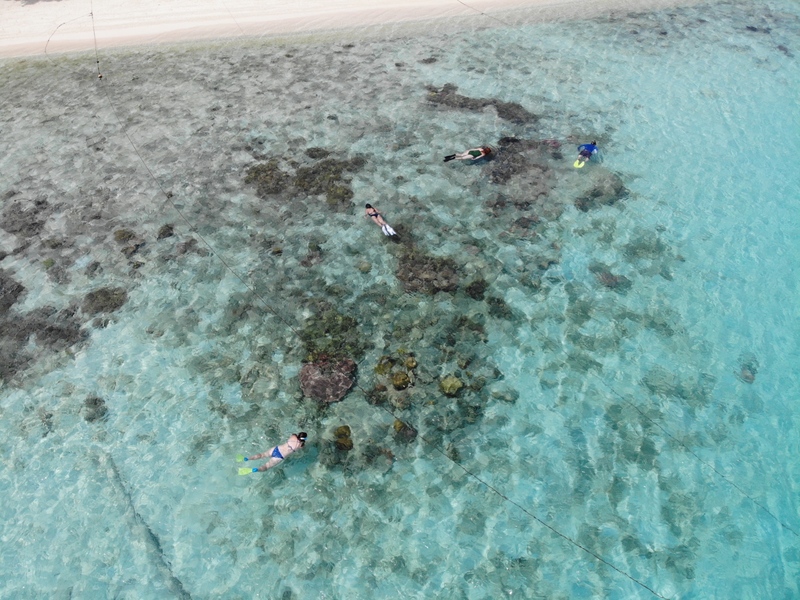 Our second and third snorkels were off the large boat around island — the water was bit choppy, but we were all too distracted by what we were seeing in the water to care. 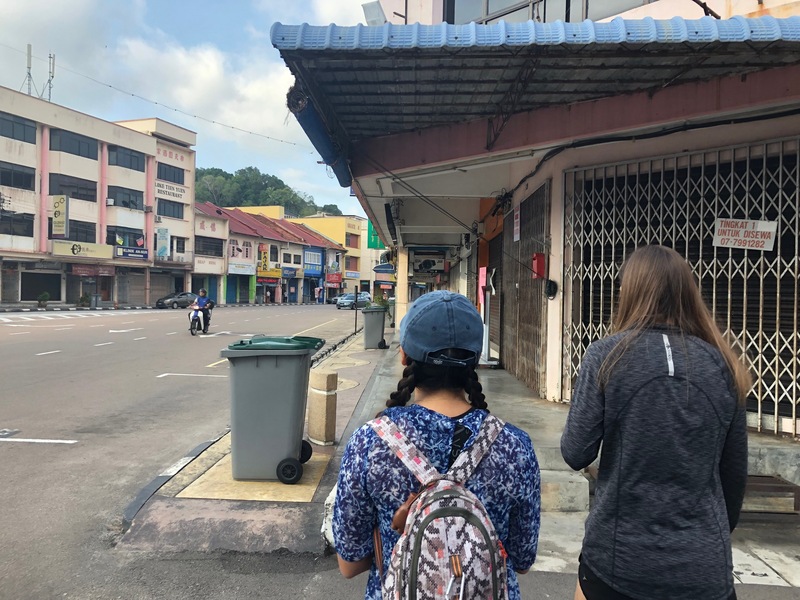 As Alexie and I walked around the beach after our snorkels, we lamented about the beauty of the island and wondered if Singapore might have once looked like this — filled with trees, devoid of development, and host to a beach with gently lapping waters. This island is paradise, we both agreed — we looked forward to being entirely disconnected from the outside world. 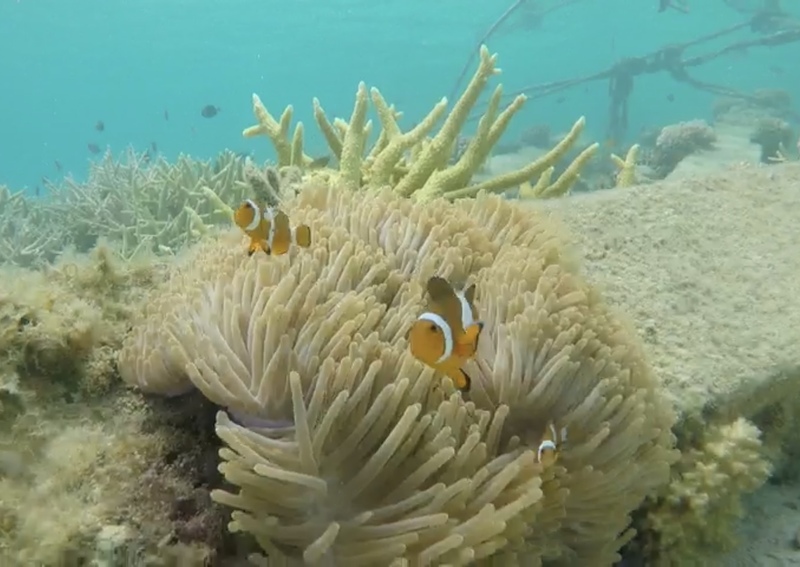 Happy fishes! 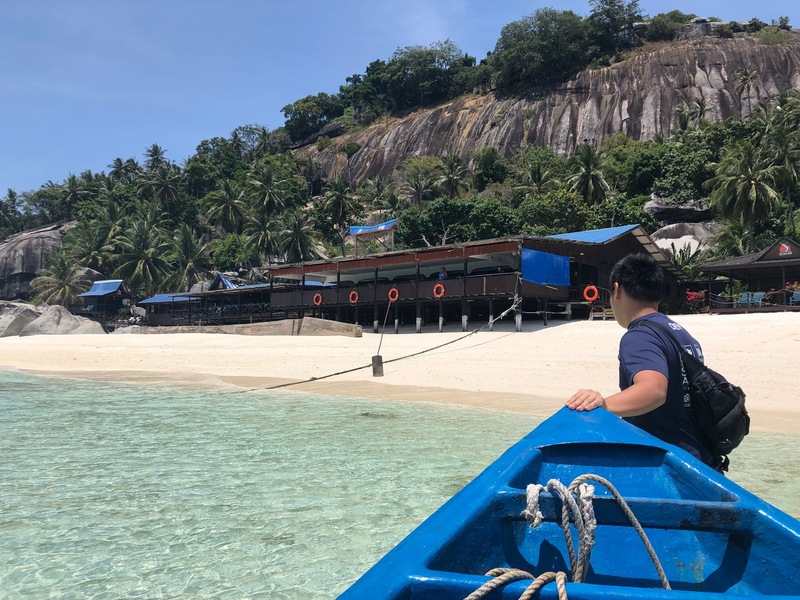 Pulau Dayang is a small Malaysian island with approximately seven full time residents according to our guide, Clement. 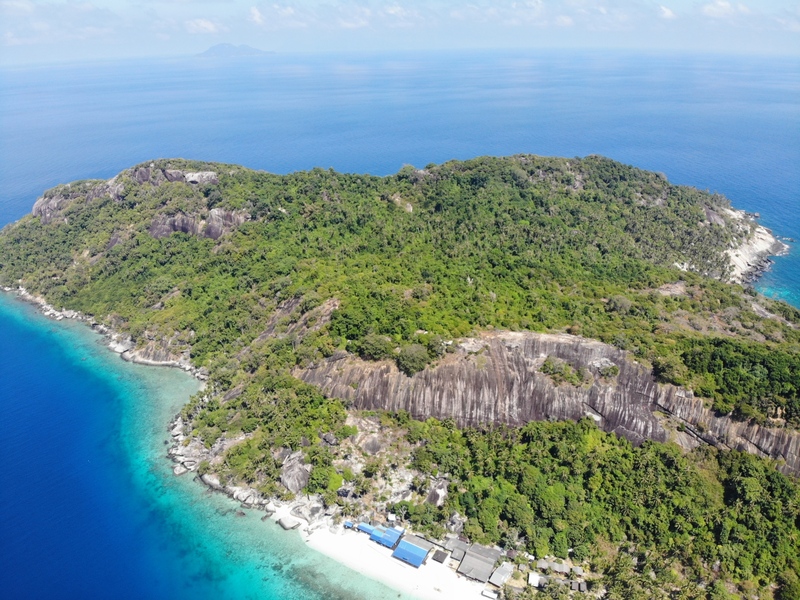 Pulau Dayang sits adjacent to Pulau Aur, a larger island (approximately 7.2 sq km according to wiki) which has not more than one to two hundred residents. There are no roads on any of these islands, just boats and people’s feet to get them places. In 2014 the island of Palau Dayang was given a protected status which made commercial fishing and diving (among other actions) illegal. Palau Dayang used to be a premier spot of diving, but in 2014 all the dive companies relocated, and just Dayang Island Resort stayed planted, getting by taking groups like us out to their Island.